Cruz, Ronald Allan L. “Here Be Dragons: Using Dragons as Models for Phylogenetic Analysis.” The American Biology Teacher 79, no. 7 (2017): 544–51. doi:10.1525/abt.2017.79.7.544. 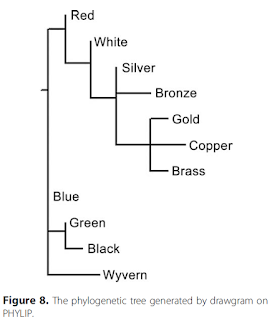 The students are building character matrices (with Mesquite 3.04) and cladograms based on the characterics of the D&D 3.5 dragons. 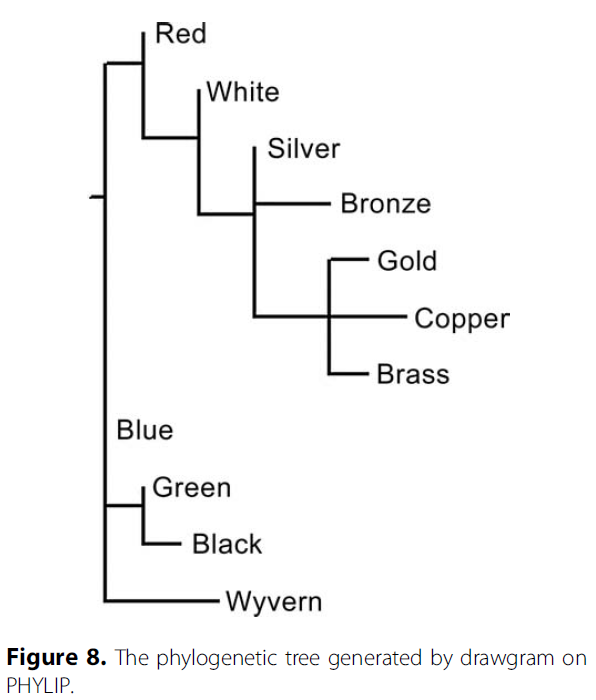 Then, they generate a phylogenetic tree based on their analysis (with PHYLIP 3.6). The character choices/states are based on breath weapon, number of limbs, wing shape, alar phalanges,... but not on color, alignment and religion. no pre-existing phylogenetic: no cheating.